Founder of the private chef network ChefRLI, Ingraham talks about reshaping Wade's diet (more veggies!) and baking chocolate chip cookies for King James. 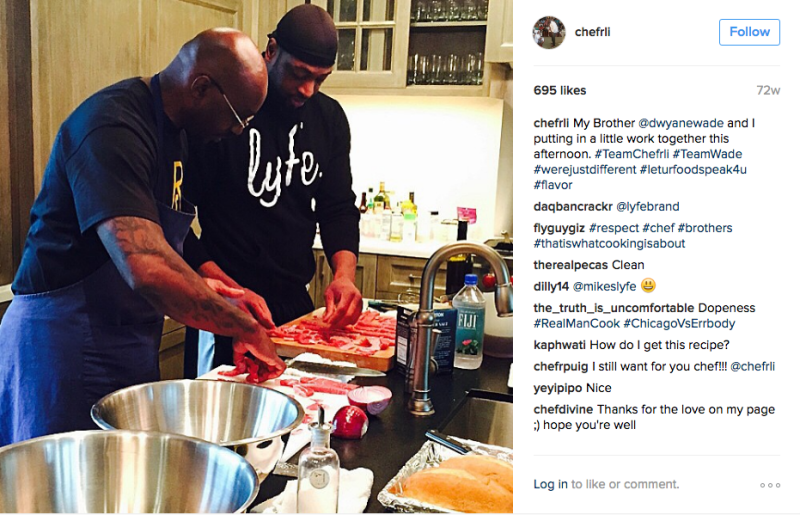 Signing on as a personal chef to a professional athlete requires more than just knowing one’s way around a kitchen. At times, as clients deal with both injury and success, a cook is called on to be a coach, a therapist, a nutritionist, and even a confidant, tweaking a player’s diet and schedule to reach a higher plane of living. 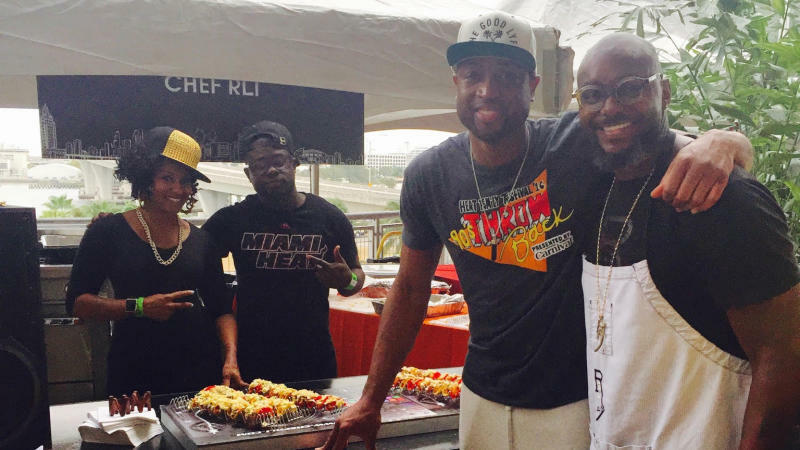 When chef Richard Ingraham first met Dwyane Wade during the 2004-2005 NBA season, the star Miami Heat guard was in the midst of his sophomore year in the league. At the height of his physical ability—and now playing with Shaquille O'Neal, who had been acquired from Los Angeles in the off-season—Wade had a breakout year and helped lead the Heat to the Eastern Conference Finals. In his early twenties, Wade could eat for days and still live up to his nickname, “Flash,” flying up and down the court for 25 points per game while rarely touching a vegetable at home. While time would ultimately change Wade’s body, leading to a number of knee injuries, Ingraham is responsible for shoring up the athlete’s diet—and perhaps prolonging his career. Born and raised in Miami, Ingraham was teaching a culinary arts program at a homeless shelter when a friend—Wade’s manager, Lisa Joseph—asked the chef if he wanted to meet her new client. Quickly, as Ingraham signed on to prepare Wade’s meals, he saw life in his city from two extreme ends of the scale—the poverty experienced by his students, and the opulence of sports stardom. Today, Ingraham has parlayed his relationship with Wade into a nationwide business model called ChefRLI, employing a number of chefs and keeping an elite-level roster of NBA, NFL and MLB players, from Chris Bosh to Carmelo Anthony. 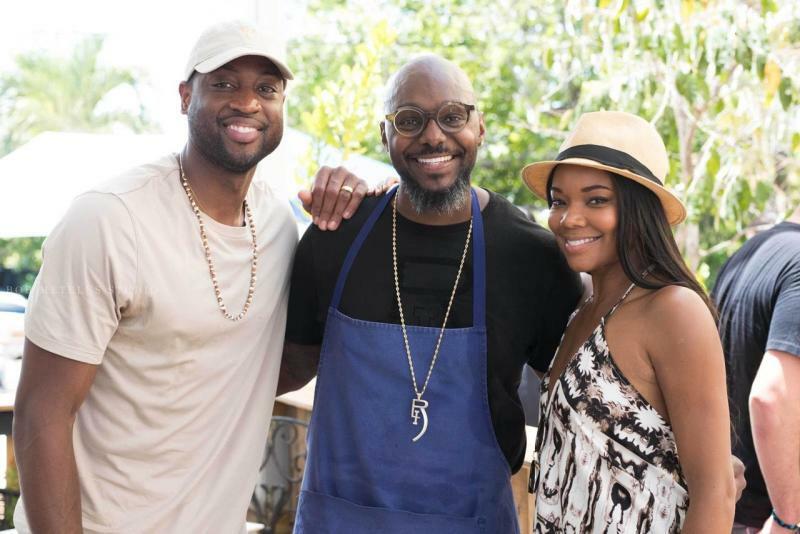 From cooking for Wade's wife, Gabrielle Union, to baking chocolate chip cookies for LeBron James, here chef Richard Ingraham gives us an insider's look into the diet of a professional athlete. What exactly did you cook for D-Wade on the first day you two met? Ingraham: Back then, he wasn’t eating healthy at all, so it was all comfort food like smothered turkey wings, mashed potatoes, fried chicken, fettuccine alfredo, cornbread, and candied yams. I used to make this lemonade that required about 30 lemons and I [also] made a lemon pound cake. I think that kind of sealed the deal, you know? The thing that he had on his side was his genes and the fact that he was a young guy. I knew for a fact that as he got older, and injuries started to occur, he would definitely need the nutrition to really help him heal his body correctly. Unfortunately, he has had some injuries, and with those injuries we’ve had to adjust his nutritional intake. What are some foods that Wade Still won’t touch? Ingraham: He doesn’t eat a lot of seafood, so we try different [types of] fish. One that he will tolerate is grouper, so we do a little grouper, a little sea bass here and there. But I try to stick with lean proteins and vegetables. He eats only select vegetables, so we’ll do asparagus, some zucchini, and cauliflower, like a cauliflower mash. He’s not a fan of vegetables, but he’ll eat it because he knows that it’s good for his body. We’ve come a long way because at one point, there were no vegetables, no salads, no nothing. How exactly do you two decide what he eats each day? Is there a menu, or do you make the decision for him? Ingraham: Luckily, we’re at the stage now where I really don’t even ask “What do you want to have to eat?” I just keep a rotation of different things. Basically whatever I put down there, he’ll eat, you know? If I want to try out a new vegetable or something like that, I’ll try it out, and if I see that it’s left on the plate, I’ll know that that one didn’t work. So it’s all about trial and error that way because I’ve found if I ask, nine times out of 10 the answer’s going to be “No, I don’t really want it.” So I just put it on the plate, and he’ll try it. That’s something that we’ve discussed as well. The only thing that I ask is that you try it. You don’t like it, it doesn’t hurt my feelings, I’ll just go back to the drawing board. Cooking for someone like D-Wade, who needs to be perform at a high level every night, isn’t all about making the food taste good. I imagine some days you take on the role of nutritionist. Ingraham: When you graduate from culinary school, you have a section on nutrition that you deal with, but it didn’t prepare me for this. You kind of have to hit the ground running if this is something you want to do, as far as being a personal chef for an athlete goes. You learn about the better carbohydrates that you need to put inside of your body—farro, quinoa, brown rice, sweet potatoes, things of that nature. And you also figure out that if your client wants pancakes, you can make sweet potato pancakes, which is a little bit healthier. You can use flaxseed and different things like that in order to attain the goal you’re trying to [reach], which is to give him comfort food that's healthier. Dywane is of course married to the actress Gabrielle Union. How does your job change depending on who in the house you’re cooking for? Ingraham: Her schedule is a little bit different than his. When she’s in town, she’s a little bit more open, food-wise. I can kind of be more creative with her diet and her selection of food than I can with his, which is cool. It’s good because I get to experiment with her. She likes fish, but she also loves spicier foods—Mexican, Indian; food from all over, basically. She’s really not picky at all. It’s just that when she’s trying to get ready for a role, I cut out carbs and sugars and things like that, and try to get her into the best shape she can be. Ingraham: As a matter of fact, LeBron has been over here before and I’ve cooked for him. I think it’s amazing that he won that championship and made history.​​ I can’t deny that there’s no place like home, to be honest with you. To be able to spread your wings. I mean, I did it myself, moving from Atlanta, back here, back to Atlanta, then back here again. My company has grown from my hometown, so I know what it’s like to flourish in your hometown. And for him to do all this on such a big stage, and to bring the championship home, I’m very very happy for him. I know that that’s something that he’s really wanted and he made history. I don’t even really remember what I made [when he came over]. I think I made a steak, if I’m not mistaken. I did ribeye steaks and creamed spinach. But whenever he comes over [to Dwyane’s], he requests chocolate chip cookies. So I make them for him when he comes over.